A few days ago as I watched the Notre Dame Cathedral fire in Paris on the national news channel, I felt the same overwhelming sense of loss that I had felt in September 2018 upon hearing that Rio de Janeiro's National Museum had been consumed by fire. The loss of Brazil's science institution, culture and history was immeasurable and I still grieve for the loss that touched all Latin countries because of it. Although I'm not a Roman Catholic, Notre Dame Cathedral is a UNESCO World Heritage Site and at the very least deserves respect for its art, artifacts, and medieval architecture. I haven't visited Paris, but from all accounts the cathedral is a magnificent structure unlike anything else in the world. And as a World Heritage Site, its loss would have a profound effect around the globe. On the TV screen, fire shot up and smoke billowed behind the newscaster. I heard sirens and shouting as if chaos had erupted. A crowd had gathered but as darkness fell, all I could see were people swaying as if trying to see past the onlookers in front of them. I was glued to the screen as I waited for news of the three breathtaking rose stained glass windows. 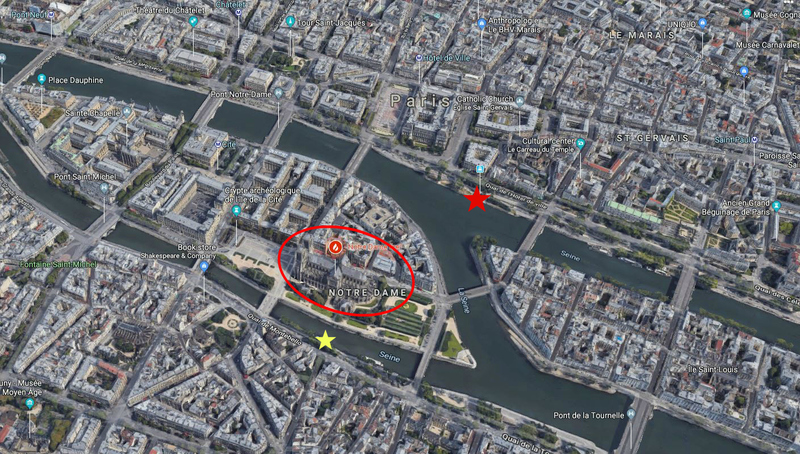 When my daughter, Crystal, sent a text with an image she'd taken earlier of the west facade of Notre Dame Cathedral, she added that she was safe and only 5 blocks from the fire. How could I have forgotten she was in Paris? I remember worrying about her when she'd first told us she was going and I had asked if she knew it was during Holy Week. She wasn't worried and I had consoled myself that at least she wasn't going to be in Jerusalem at such a time. 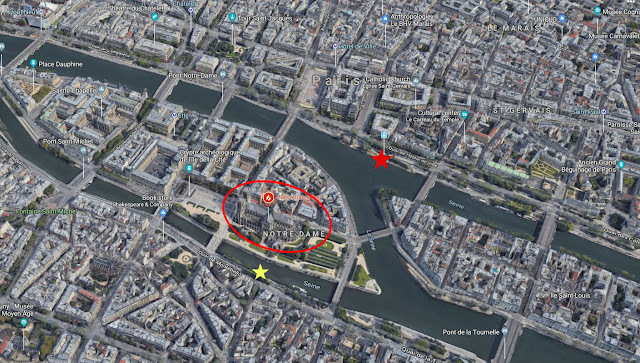 And now they were on their final day in Paris and their Hop-On Hop-Off Seine River Sightseeing Cruise had gone awry because they passed in close proximity to the fire. They said that we couldn't go to the next stop and we had to skip it because there was a fire near Notre Dame. Smoke was pouring out of the area and shading the sun orange. As we got closer we were rerouted by police (in boats) and then re-re-routed. I don't think they knew what to do with the river traffic yet as there was a lot of chaos in the area. We ended up getting off near Le Louvre (4 stops away) and walking back to see what was happening. People were everywhere watching...on the seawall, streets, bridges...crying, stunned. Everyone was so quiet. There was a moment when everyone gasped...and then we saw the tower collapse in. It was surreal. Hours later, as Crystal flew over the Atlantic Ocean, the news reported that much of the art and artifacts had been saved and that the fire was out, but the three rose windows had been lost due to melting of the lead that held the glass together. If such was the case, it would be devastating since the artistry which created the windows has been lost over time. However, a few hours ago a new report stated that the rose windows appear to be intact. Oh, what a blessing that would be. 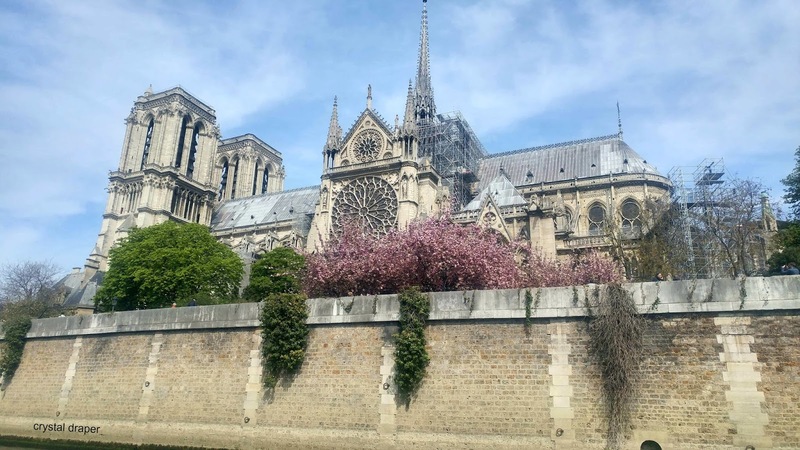 The latest news is that over 700 million dollars has already been pledged to rebuild the Gothic structure with aid coming in from around the globe. As usual, some people are saying there are better ways to use the money for humanity, but to the people of Paris, Notre Dame is the go-to place in times of trouble and times of joy, summoned by the tolling bells. As a historian, I am relieved that the fire was extinguished before catastrophe occurred. As a Christian, I am thankful that a sanctuary has been spared. As a citizen, I am grateful that no lives were lost during this event. 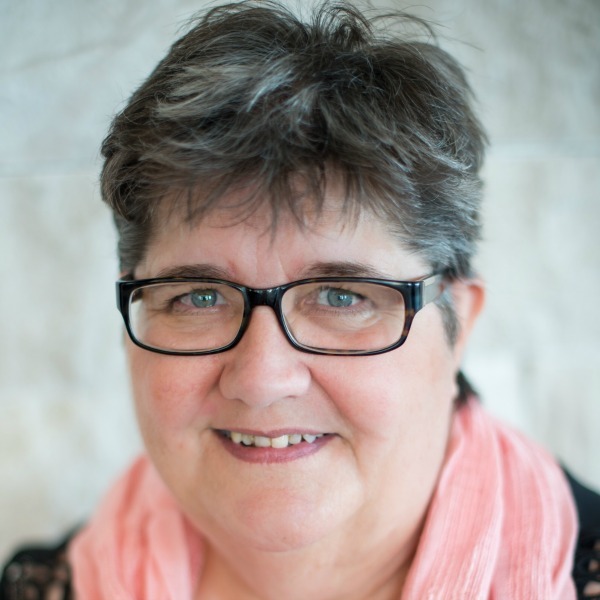 Finally, I'll never forget that the Notre Dame Cathedral fire happened on April 15, 2019 not only because Crystal was there to photograph and videotape it, but because it happened on her dad's 65th birthday. 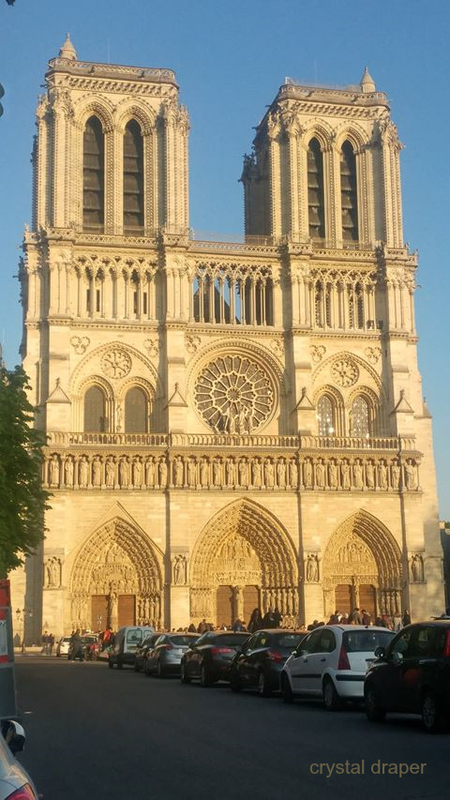 UPDATE: Crystal is back home now and shared this image of the Notre Dame Cathedral. Behind the river wall, you can see the restoration scaffolding and the South Rose Stained-Glass window along with the magnificent architecture. She took this photo on April 15th around 2 pm at the early part of the boat cruise, just over 4 hrs before the fire started. There is so much about this story that is captivating. The news of the fire was a shock and for Crystal to be there will be something your whole family will never forget. For those who have visited and been so touched by its beauty, it seemed to be a personal loss. The whole story of its history is almost hard to fully fathom, but the continuing news of what was saved and the amount of money raised is astounding. I guess with much of the fire in the roof (and too high to impact with water) the damage was less than if it had started in the sanctuary. It's amazing to see a tall candle by the altar standing unmelted and the votive lit by visitors that same day were still burning when investigators went in that next morning. Thanks for the post and the photos, Anita. I'm so relieved that it will again open and welcome the public and parishioners inside some day. I agree, Deb. 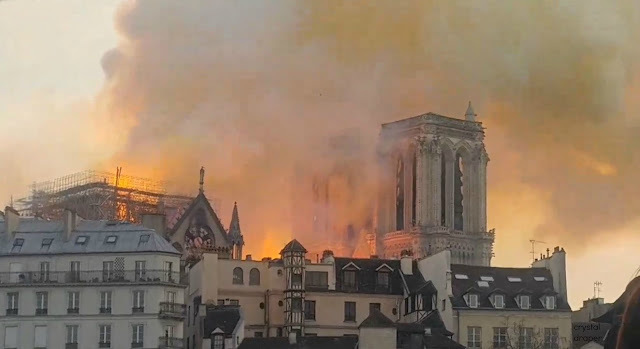 France has struggled through so many spirit-crushing events in its past and each time the people have come through stronger and more resilient that I have no doubt Notre Dame Cathedral will open its doors to its people and the world once again. Wow. Fascinating, Anita. Thank you to you and Crystal for sharing. You’re welcome from both of us.